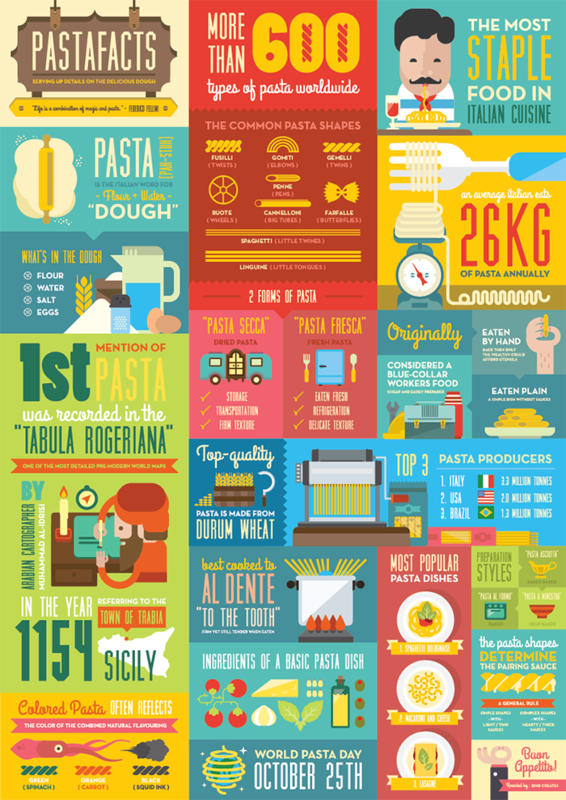 Here's a colorful infographic that lays down a whole series of facts surrounding pasta. It was originally created to celebrate World Pasta Day and is produced by ONO Creates, a design company from Singapore. From the rather shocking fact that there are over 600 different varieties of pasta in the world to the fact that the average Italian eats around 26kg of pasta annually. There's also info on the most popular pasta shapes and some tips on what to look for if you want to buy really great quality pasta.